Pastor Jaime preaching on how trials and tribulations make our faith stronger and purer. And so, Like Gold, it is necessary for us to be put over the fire. Out of all sermons this has to be my favorite. I can proudly say that I understand God’s plan– before I only understood #him 90% but now it’s 110%. All the trials and tribulations (the fire) in my life was there to make my faith stronger and purer. I understand now why I must #livelife. #Gold can never be gold if there isn’t fire. 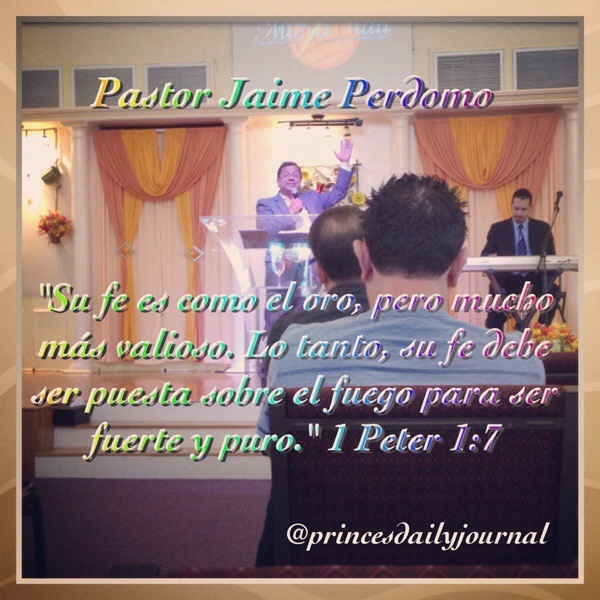 Gracias Pastor Jaime. Purificanos Señor, purificame senor so I can be Gold!